On Friday, January 17, DJ/producer and Revealed Recordings boss, Hardwell, will play a 2-hour show live at the SLAM!FM studio for the 150th episode of his radio show and podcast "Hardwell On Air." "Hardwell On Air" has proven to be one of the best radio shows in the world, occupying the top podcast chart on iTunes and rapidly growing to more than 300,000 views on YouTube each week. During this special episode he will be hosting an interactive event online. 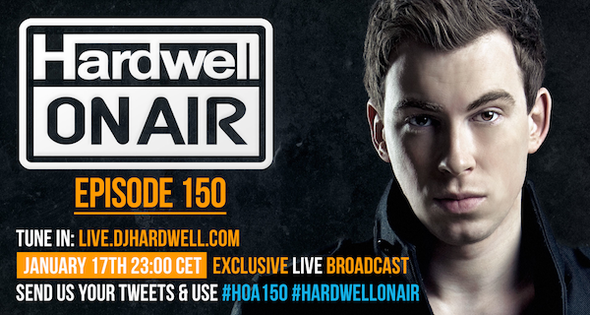 You can listen and take part in Hardwell's 150th episode of "Hardwell On Air" here: http://live.djhardwell.com. This site will host an online interactive multimedia experience around the 150th episode. It will also provide fans with the "Hardwell On Air" ins and outs, a video and audio stream from the studio, as well as a place to interact with Hardwell during the show using #HOA150! 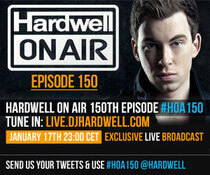 Hardwell: "Let me know what you think of the show, using #HOA150 on Twitter! Send in your congrats or funny pics and you might get featured on the special episode." The show starts Friday, 23:00 - 01:00 CET.